Washington, D.C. (Jan. 26, 2019) --- Delaware State trailed by just three points late in the second half, but couldn’t get over the hump in an 80-74 loss to Howard in a MEAC men’s contest at Burr Gym today. C.J. Williams had a game-high 30 points to lead the Bison (9-12; 3-3 MEAC) to their second win in the last three games. The Hornets (3-17; 0-7 MEAC) dropped their ninth game in a row, despite having four players reach double-figures in scoring, led by Kevin Larkin (Sussex Tech) with 19 points. Howard started strong in the contest, scoring the first nine points, and opening up a 17-5 lead on a three-pointer by Williams at the 15:33 mark of the first half. The Hornets scored the last six points of the half on three-pointers by Larkin and Pinky Wiley to pull to within 38-34 at the break. Delaware State made it nine points in a row when Larkin nailed a three-ball to start the second half, cutting the Howard’s lead to 38-37. Howard opened up five-point leads on four occasions over the next six minutes, but DSU again trailed by just a point (53-52) after a three-pointer by D’March Baucum with 12:31 left to play. The Hornets only trailed 66-63 after a a steal and lay-up by reserve Myles Carter with 5:33 left to play, but Chad Lott answered with a dunk and a tip-in to stretch the Bison lead to 70-63 with 4:32 remaining. 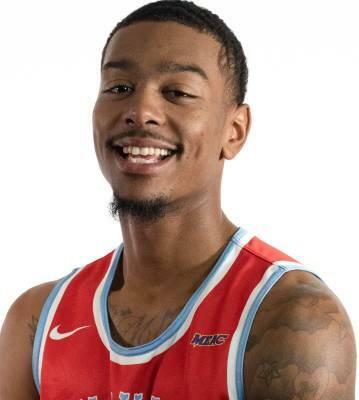 Delaware State trailed 75-71 after a lay-up by Ameer Bennett (10 points), but Howard hit five free throws over the next 34 seconds to hold the Hornets at bay. Baucum and Wiley added 13 points each for DSU. The Hornets return to action next Saturday (Feb. 2) against Savannah State. Game time is set for 4:00 p.m. in Memorial Hall following the DSU / Savannah State women’s contest.